Scott M Bittle 8/26/1969 (single) Athlete, Business Owner-Wasatch Window Cleaning. Scott skis come More…rain or shine, and, of course when it snows Utah's famous powder. Then when the snow melts, he crosses the same Mt range on his bike. Ashley A Bittle-(Matthew Cunningham) 10/05/2011 (Wedding: 7/29/2011 yippee!) Ashley is a PsyD Clinical Psychologist, is currently the Deputy Director of Mental Health Services at Naval Services, Camp Pendleton in San Diego, CA. Matt is Coaching pre-professional youth Hockey in Anaheim and is studying for the California Real Estate License. Both are iMAN accomplished athletes! They are certified Yogis, live a plant based life style, and are loving the change from Colorado to the Pacific Coast! Jerry & I celebrated our 50th Wedding Anniversary June 29th 2013. We had a lovely party sponsored by our great kids, Scott & Ashley (w hubby Matt). Jerry is retired from his career in Food Brokerage. He's having a great time restoring a '72 Ford pickup! I continue in private practice as a psychotherapist ... Lots of years in teaching & practice, I've enjoyed my career & have met a lot of interesting folks along the way! I've just joined a women's golf league & as soon as the weather cooperates we will be out there tearing up the course! We've enjoyed vacations earned by Jerry's work w Smucker's Account (jams & etc) ... Cruises in the Bahamas Mexico & Alaska were pretty awesome - I think Alaska was our favorite. Well that's all for now. We've enjoyed all our Wasatch reunions & seeing old friends & catching up! Oh, boy. gotta think about this a minute! Probably teaching Lola about “dorm life”!! 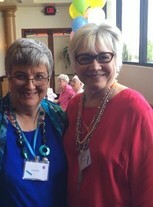 This Spring was a fabulous celebration of Lola's mom, Olivia McNally - & her 90th BDay. Great family & friends at the Tucson Country Club. Visit from Carolyn & Lynn and Izzy in their beautiful home on wheels was a highlight last summer; hoping for more visits! Last Christmas we spent in Phoenix w family & friends, including an evening w Bud & Louise McJunkin. We always laugh a lot! We love and laugh a lot with our two year old maltese doggie, Cisco! Better quit! I've lost this twice & tried to repeat my stories, but may add another time! Sheila Peterson Bittle posted a message. New comment added. Happy Holidays & Happy Birthday coming up soon! I hope all is well! Sheila Peterson Bittle added a comment on Profile. 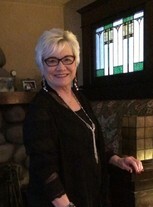 Sheila Peterson Bittle updated profile. View. Sheila Peterson Bittle has a birthday today. Sheila Peterson Bittle posted a message. Hope you are growing more retiareded every day over there at Beaver Dam! It was sure fun playing with you and others on Founders Day 2017! Happy Birthday Steve! I hope you enjoy the celebration! Sheila Peterson Bittle added a comment on Profile. New comment added. Happy Birthday Leslie - thanks for sharing your memories - makes me smile and reminisce ! Sheila Peterson Bittle changed "Now" picture. Sheila Peterson Bittle changed profile picture. Yummy Vegan Carrot Cake !